Why is this called the Harry Potter four chapter hat? Have someone start reading book 4 of the series to you while you knit. It will take four chapters for a newbie knitter to knit this in an adult/kid size! 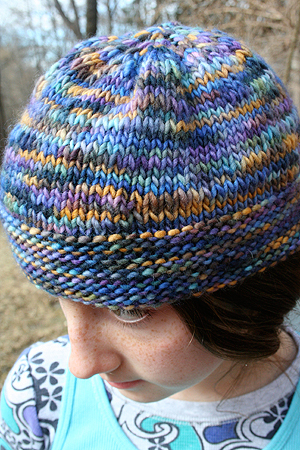 Note: This pattern works with worsted weight yarn, from acrylic to cashmere. 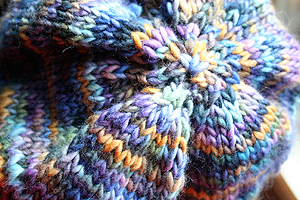 The top of the hat is pulled together with the tail of the yarn, then used to stitch the hat seam.